I never really got excited for this film, but the trailer was always worth a laugh or two when I saw it attached to another film I was seeing in theaters. When it finally came time to see it, I approached it with low expectations, but I still expected it to at least be fun…well, that is what some would call “wishful thinking” because this film didn’t even manage to accomplish that. 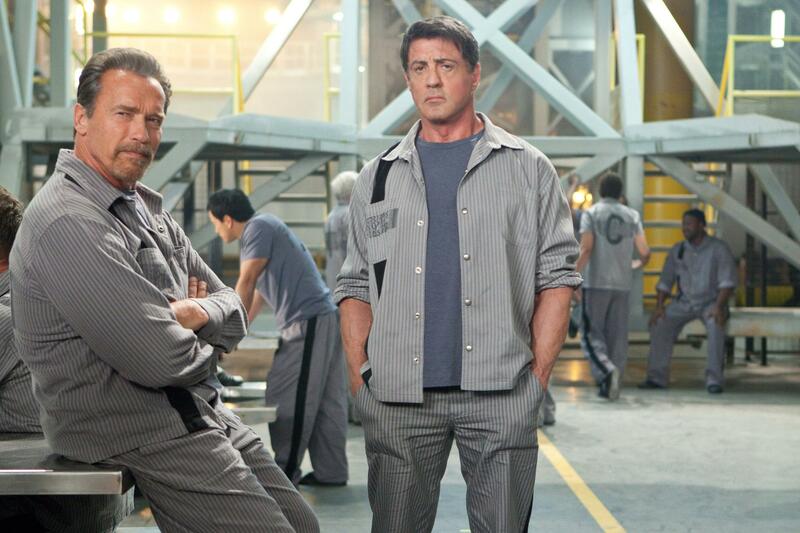 You would think that, if nothing else, seeing two such legendary action stars as Sylvester Stallone and Arnold Schwarzenegger onscreen together would at least be an enjoyable experience, but you’d be wrong…I maybe managed to crack a smile or offer a little chuckle only once or twice, and that was being generous. The film is filled with lame jokes, poor dialogue, and almost non-existent character development, and the villain, played by Jim Caviezel, has zero visible motivation for building this hell of a prison. What does he gain? Don’t tell me money because money offers no explanation for the sadistic way in which these men are imprisoned. In case you couldn’t tell, I don’t recommend this film. I wanted to like it at least a little bit, even if it was just so I could tell you all that it’s laughably bad, but, sadly, even that’s not the case. Escape Plan is just bad, no laughing to it. The only moderately not-terrible thing I can say about it? At least it’s not incredibly vulgar like Michael Bay’s Pain & Gain (my review) was, aside from the language, of course. I wish I had more to say about this, but I just don’t care enough about it to bring forth the effort. Sorry, folks. P.S. – For a more positive, balanced review of this film, check out my pal TJ’s 3.5-star review over at MovieByte.com!